LIQUID DENTIST is a revolutionary new oral health and hygiene product that is awesome for your whole body immunity as well. In this educational “infomercial,” Dr. Leonard G. Horowitz–an expert in public health education, emerging diseases, and dental self-care, having practiced dentistry and periodontology for many years, resulting in his dedication to reducing the risks and costs of common oral diseases–presents a wonderfully-instructive production that will surely save you money and your smile. 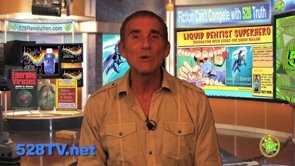 Watch, listen, and learn from the co-developer of LIQUID DENTIST, about how this unprecedented product revolutionizes oral hygiene and dental disease prevention by providing a product that reverses tooth decay and gum diseases, boosts natural nutritional immunity against more than a 1,000 strains of germs–including many diseases formers–and leaves your teeth astonishingly smooth and clean for up to three (3) days after every use. This video is MUST VIEWING for everyone interested in securing better oral health through regular, and proper, oral hygiene.